And that’s just a sample of the ones I grabbed before I got too lazy. 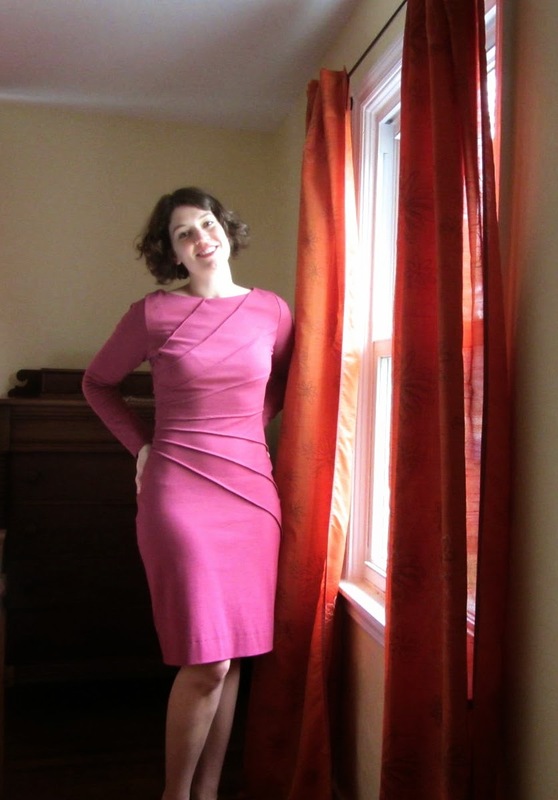 This dress looks pretty fabulous on anyone who makes it, so I kept it in the back of my mind until a sale on Butterick patterns came around at Joann’s. 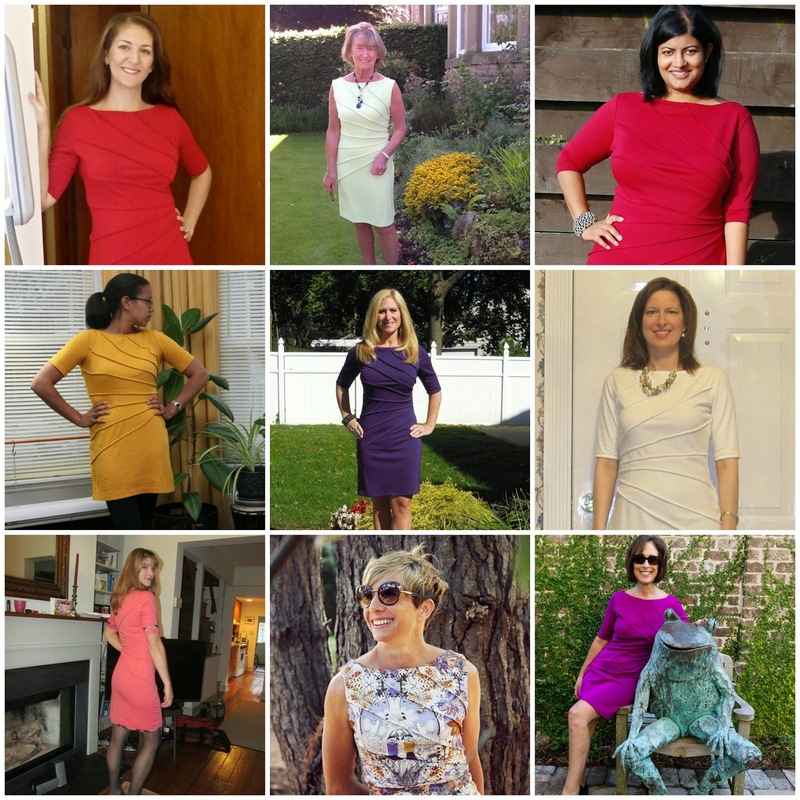 Then I had 51 reviews to read for advice before sewing up my own. I didn’t read all of them, but I got the gist: it’s a little short but otherwise perfect, and the tucks are time consuming. Got it. So I went ahead and made my own, using some rayon ponte knit for FabricMart. Ohhh well. Unpicking seams in knits is NOT my favorite, so I’m living with the little imperfections on this one. I was very careful to thread trace all my tucks, just like people suggested, but I think things went awry when I cut the wrong pattern size. I can’t remember how I decided what size to cut – all I know is that I ignored the envelope because I don’t trust the Big Four not to build in ridiculous amounts of ease. By the time I noticed that there are finished garment measurements printed on the pattern pieces, I had already cut them out. So I did something sketchy like adding a little on here and there just by eye-balling it and then also reduced my seam allowances in certain places and not others and in the end it’s no wonder that my tucks didn’t match up. If I want to make this pattern again, I’m going to have to buy another copy and pay better attention. All the other reviewers were right about this pattern being time consuming. And it’s not just the tucks. There are actually a whole lot of darts hidden underneath those tucks (very clever, Butterick). And they were also right about the length. I’m 5’8″. 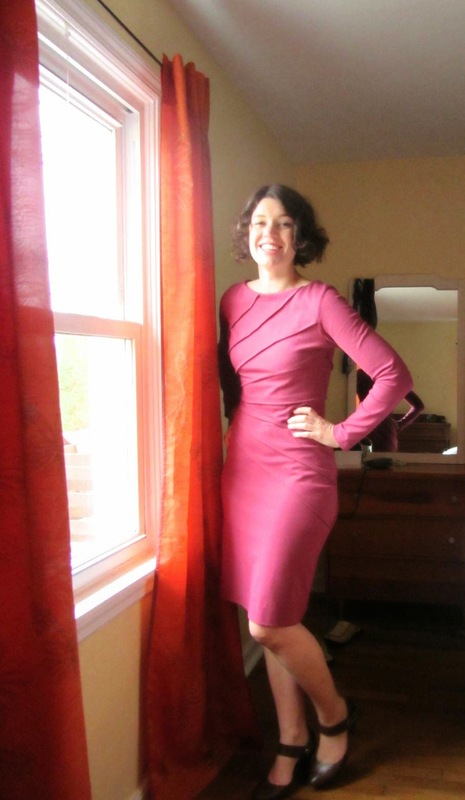 I added five inches to the length, which allowed me to turn up a generous hem and still have it hit around my knees. 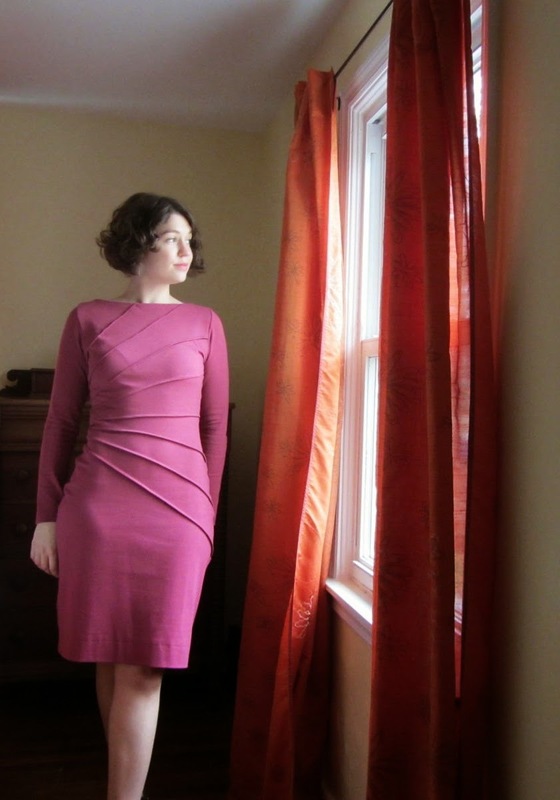 One reviewer noted that the neckline of this pattern dips lower in back than in the front. I don’t really get this as a design feature, since it’s not really enough of a dip to look intentional. Since I wanted this to be a warm dress for winter, I kinda wish I had raised the back neckline, but it’s not that big of a deal. 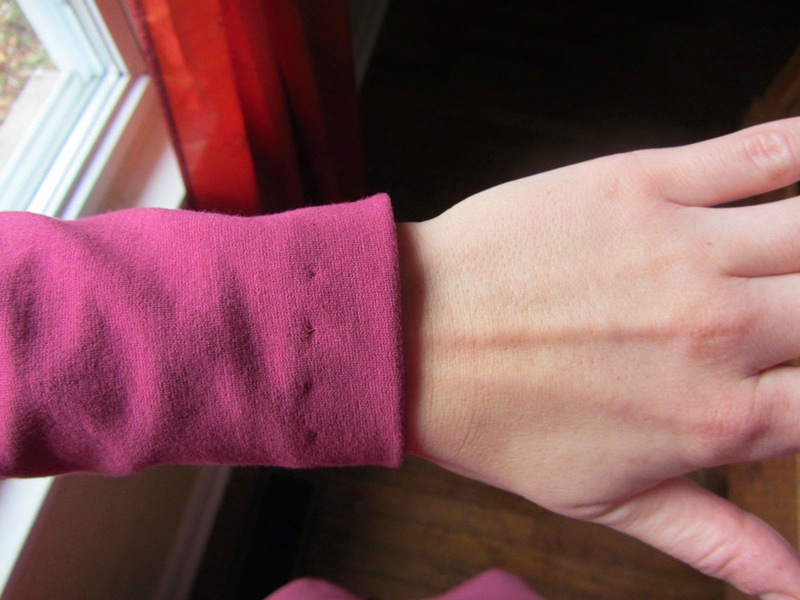 I also made the sleeves full length, for max coziness. 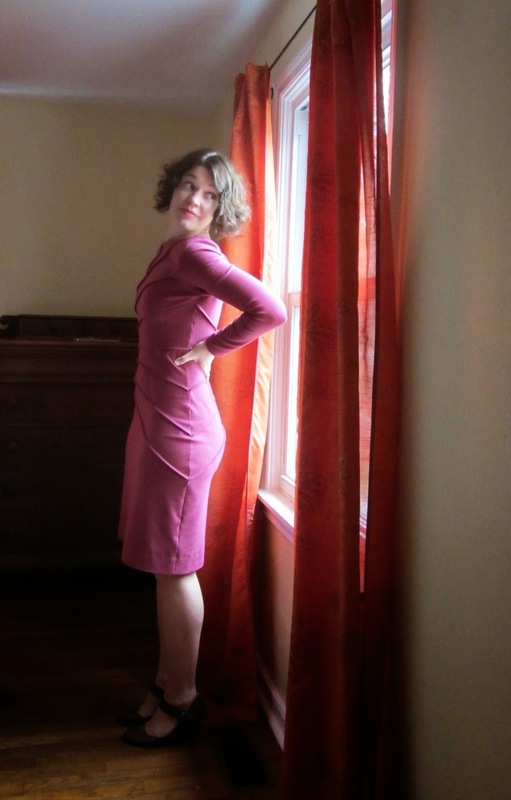 Other comments about this pattern – there is a secret waistline seam hidden under one of the tucks. And the waistline isn’t level. It angles up on one side, which made me pause and stare, confused, when I cut out my pattern pieces. 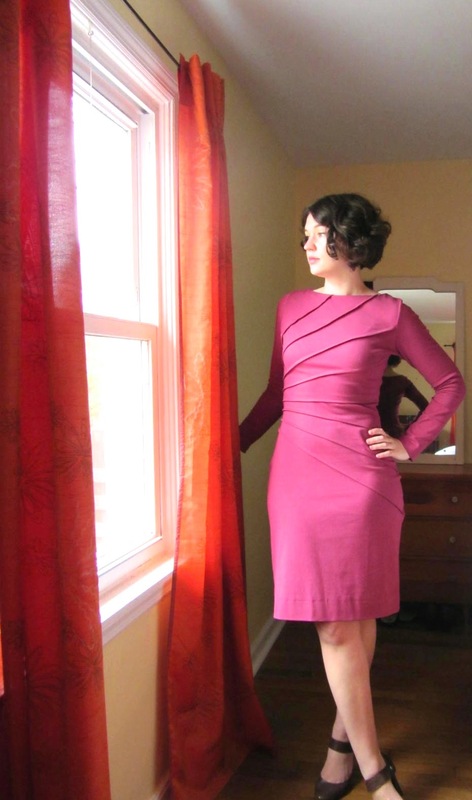 The neckline is finished with a facing, and mine didn’t want to stay hidden, even with understitching. The tucks save the day – I tacked down the facing in four places to the body of the dress, neatly hiding the stitching underneath the tucks. Oh, and a few reviewers seemed perturbed that their tucks wouldn’t lay flat. Mine don’t either, but I don’t think they’re necessarily supposed to. I think they look fine sticking out a little. It gives the dress dimension. People like to say that knits are super easy to sew, and I have to disagree. This dress gave me hell when I tried to use my serger. I thought my serger and I were friends finally, but now I don’t know. It hates going over thick seams, so it would mess up every time I tried to sew over a tuck. I also can’t figure out how to avoid making my side seams all lumpy. I’ve messed with the tension, and yet I still end up with gnarly bumps over my hips like you see in the photo above. This is highly annoying, because while I know my hips are curvy, they are definitely not lumpy. If someone can tell me what I’m doing wrong, I would love to know. I actually ended up undoing all my serger seams and redoing them on my regular machine with a zigzag stitch. Lumps are still there, but less offensive than before. Blind hems mess with my brain a little, but once you figure out where to fold and where to stitch it’s smooth sailing. Maybe I will throw together a little how-to. I even managed to do this without a special foot on my sewing machine, so it’s really not so bad. So that’s it! More than you probably ever wanted to know about this dress! Overall, I’m a big fan and would like to make a second if I could pick up another copy of the pattern. It was a hit at our office holiday party too, and now my coworker wants me to help her make one. WE’LL SEE. Wow! You look great in it! I love the colour. Does your serger have differential feed? 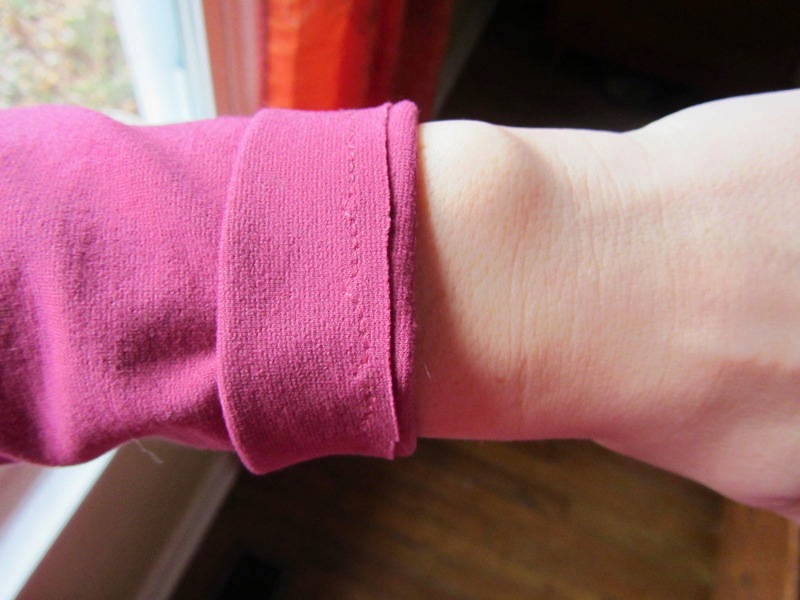 If yes, try playing with that on scraps first before sewing the garment next time. You might need to crank your DF way up (or down) depending on the type of knit. Thanks for the suggestion! I will give it a shot next time. I love your version too! That deep purple is so pretty. Thank you! I actually dyed the fabric, which was kinda a hospital-gown mauve color before. I think this is a big improvement! Would you mind me sharing this on SSB in the future? I credit, link to your post and let you know when featured. I like this dress and you look great.